Here at Jill Hardy Physiotherapy we do Clinical Pilates sessions on a one to one basis, and are soon to be doing group Pilates Classes. Clinical Pilates is a modified method of Pilates whereby a patient’s specific injury or pain is assessed by our expert physiotherapist, and a Pilates exercise programme is individually prescribed and carefully selected according to that patient’s needs. This is usually done alongside other physiotherapy treatments as appropriate to the individual patient. This is particularly useful for low back pain, as there is strong evidence from research that retraining the stabilising ( core stability) muscles of the lumbar spine can help to significantly improve the pain, and has advocated the Pilates method for doing such. What is Involved in a Pilates Session? Pilates exercises focus on posture, control, core stability, balance, flexibility, strength and breathing. Exercises are low impact and suitable for almost everyone, even during pregnancy, although some exercises are modified at certain stages of pregnancy. 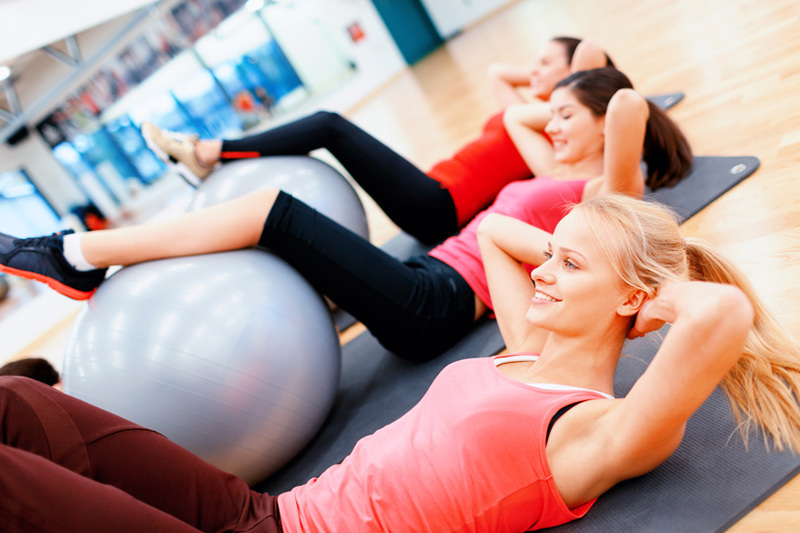 Most exercises are performed on a mat on the floor, although other equipment may be used, such as Physio Balls, exercise bands, foam rollers etc. There are many benefits of Pilates, both to those suffering with back and back pain and to those who have no pain. People always think that because Pilates is not high impact, that it’s not hard work. It is actually very hard work, if done correctly, as you are using many muscle groups in ways you probably haven’t done before! You may not get out of breath at beginner level, but you will feel the work you have done the next day! Intermediate and advanced levels do become a lot more demanding and the changes you will see in your body shape are incredible. If you are interested in trying Pilates, please ring Jill, our lead Physio, for a chat about your needs and suitability for either a one to one session or a group session.